Zifeng Li is a professor of Yanshan University, China, a technical editor of SPE Drilling & Completion. Before joining Yanshan University, he was a professor of Northeast Petroleum University and professor of China University of Geosciences (Wuhan). He has published over 140 papers and 6 books on drill string, casing, and rod pumping mechanics & well bore stability, as well as physics and philosophy. He holds a BS degree in drilling engineering and an MS degree in machinery engineering from Northeast Petroleum University and a PhD degree in petroleum development engineering from China University of Petroleum. Contact: Petroleum Engineering Department, Yanshan University,Qinhuangdao 066004,China. Postdoctor, Mechanics, Harbin Institute of Technology, 12/1992-12/1994. Ph.D., Petroleum Engineering, China University of Petroleum, 09/1989-11/1992. M.S., Petroleum Mechanical Engineering, Daqing Petroleum Institute, 09/1983-07/1986. B.S., Petroleum Engineering, Daqing Petroleum Institute, 09/1979-07/1983. Sun Yueqi Science and Education Postdoctor Prize, China Science and Technology Development Foundation, 1997. Young Science and Technology Prize, Government of Heilongjiang Province, P.R. of China, 1998. Rod and Pipe String Mechanics in Oil and Gas Wells, First Class Monograph Award, Government of Heilongjiang Province, P.R. of China, 1999. Technical Editor in SPE Drilling and Completion Editorial Committee: Review papers and abstracts. Technical Editor in Petroleum Drilling Technique Editorial Committee: Review papers and abstracts. Technical Editor in Oil Drilling and Production Technology Editorial Committee: Review papers and abstracts. Review papers and abstracts for Engineering Mechanics. Review papers and abstracts for ACTA PETROLI SINICA. Review papers and abstracts for China Petroleum Machinery. Review papers and abstracts for Petroleum Journals Online. Member of Canadian Petroleum Society. Member of China Petroleum Society. 07/2002-Present, Professor of Petroleum Engineering Department, Yanshan University. The organizer of Petroleum Engineering Department, Yanshan University. 08/2006-12/2006, Visiting Scholar of Petroleum Engineering Department, University of Louisiana at Lafayette. 03/1999-06/2002, Professor of Petroleum Engineering Department, China University of Geosciences. 09/1997-03/1999, Professor of Petroleum Engineering Department, Daqing Petroleum Institute. 12/1994-08/1997, Associate professor of Petroleum Engineering Department, Daqing Petroleum Institute. 04/1990-11/1994, Lecture of Petroleum Engineering Department, Daqing Petroleum Institute. 07/1986-04/1990, Assistant of Petroleum Engineering Department, Daqing Petroleum Institute. Gospel is the most precious belief in the world. For the insistence upon gospel, groups of determined scientists have strived on the road of scientific research and have been enlightening the public with their insistence and wisdom. Professor Zifeng Li from Yanshan Univeristy, is such a scholar who has insisted upon pursuing and enjoyed making contributions. Zifeng Li was born in July 1962 in Qian? ?an City, Hebei Province. He is a member of Communist Party of China and China Democratic League. Li graduated from Northeast Petroleum University in 1983, majoring in drilling engineering. He got master degree in petroleum machinery engineering at the same university in 1986. He got doctoral degree in oil and gas filed development engineering at China University of Petroleum (Beijing) in 1992. From 1992 to 1994, he was post-doctor in mechanics at Harbin Institute of Technology. From 1994 to 1997, he took the position of associate researcher at Northeast Petroleum University. From 1997 to 1998, he took the positions of researcher at Northeast Petroleum University and member of the standing committee of Daqing Municipal CPPCC. In 1999, he served as Distinguished Professor and doctoral supervisor for ??211?? Construction at China University of Geosciences. In 2006, he was a visiting scholar at Louisiana University at Lafayette in America. Now he is the professor and doctoral supervisor at Institute of Petroleum Engineering at Yanshan University, and he also takes positions of member of Hebei Province Degree Committee, SPE Drilling & Completion technical editor, editorial member of China Petroleum Machinery, editorial member of Petroleum Drilling Techniques, editorial member of Oil Drilling and Production Technology, director of Petroleum Society of Hebei Province, director of Vibration Engineering Society of Hebei Province, project evaluator of the National Science Foundation Committee, ?? 973?? Project evaluator, reviewing specialist for Acta Petrolei Sinica, Acta Mechnica Sinica, and so on. Professor Zifeng Li has been working hard in research and teaching of Petroleum Engineering for more than twenty years, by focusing on theories and applications of mechanical study of rod and pipe strings in oil and gas wells. His motto is to promote man's development, to increase our country's economic power, to educate advanced technicians, and to service for the construction of petroleum industry. Since 1985, Professor Zifeng Li has established the theoretical system of mechanical study of rod and pipe strings in oil and gas wells, under the support of ? ?the eighth five year?? plan, ? ?the ninth five year plan?? national key scientific project and ??863?? advanced technology development plan. He raised the fundamental equations for dynamic analysis of rod and pipe string in oil and gas wells. Because the fundamental equations for dynamic analysis of rod and pipe string in oil and gas wells have successfully unified all the differential equations used in dynamic analysis of rod and pipe string in oil and gas wells, all the differential equations present used in calculation of tension and torque in directional wells, analysis of drillstring vibration, analysis of BHA, analysis of buckling behavior of pipe and casing strings and analysis of sucker rod pumping system can be obtained just by proper simplifying the fundamental equations. Thus, these equations have broad uses in drilling and production. He has established the steady tension - torque model of rod and pipe strings in directional wells, mathematical models for diagnosis and prediction of the behavior of sucker rod pumping system in directional wells, three-dimensional mathematical models for static analysis of BHA under small and large deflections, mathematical model for drillstring longitudinal vibration, mathematical model for drillstring torsional vibration, mathematical model for drillstring coupling vibration of longitudinal and torsional vibrations; performed elastic and plastic analysis of casing and tubing during steam injection, analysis of static buckling of rod and pipe string in oil and gas wells, analysis of expansion and contraction of slotted tubulars, etc. These innovative theories and research results are basically ? ?Petroleum and Horizontal Well Drilling Packaged Technology?? of the National ? ?Eighth Five Year Plan?? Key Scientific Project. They are also the research contents in national ? ?Ninth Five Year Plan?? Key Scientific Project ? ?Sidetracking Horizontal Well Exploitation Packaged Technology?? and ? ?Undersea Extended Reach Well Path Control Technology?? in ?? 863?? Project. They have not only made great progresses in theories but also brought huge economic interest, thus receiving good remarks from domestic and foreign petroleum fields and mechanics fields. 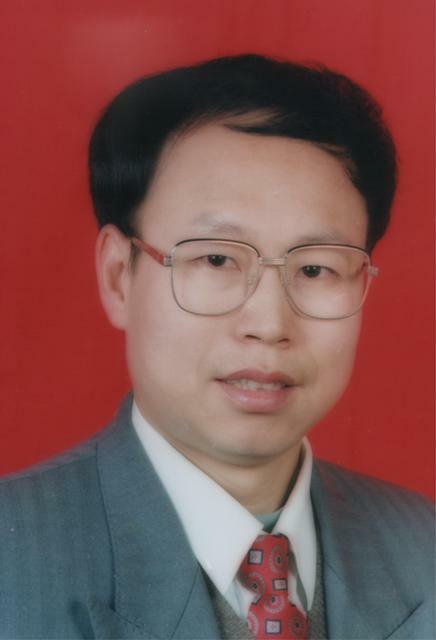 Professor Zifeng Li has also worked out these models and compiled them into the packaged industry application software, which is extensively used in petroleum exploitation works. For his outstanding contributions, Professor Zifeng Li has received Awards for Sun Yueqi Science Education in Postdoctoral Studies from China Science Development Foundation in 1997; he has also received the 4th scientific award for youths in Heilongjiang Province. Rod and Pipe String Mechanics in Oil and Gas Wells has been awarded first prize for excellent monograph in Heilongjiang Province, in the year 1999. Tubular Mechanics in Oil-Gas Wells and its Applications has been sponsored for publication from Petroleum Industry Press in the year 2008. Fundamental Equations for Dynamic Analysis of Rod and Pipe in Oil-Gas wells and Its Application has been awarded third prize of Hebei Province National Science Awards. He was also titled ? ?Outstanding Technical Editor?? by American Society of Petroleum Engineers (SPE). Professor Zifeng Li has been insisted on working on the frontline of research and teaching in the discipline of petroleum engineering, and he is always willing to make contributions to the discipline of petroleum engineering. He loves the country, petroleum engineering, but above all he loves education. It is his hope to pass all his knowledge to the students, and cultivate more talented people to the country. He has set a good example in the education field, although he feels his efforts are not strong enough. In April 1999, Professor Zifeng Li has been employed to work as the chair professor for ??211?? Construction at China University of Geosciences, and also served as the academic leader of Petroleum Engineering. From July 2002, he established bachelor program of petroleum engineering, master program of oil and gas well engineering and master program of oil and gas filed development engineering. For more than twenty years, Professor Zifeng Li has completed a lot of academic papers and monographs in his scientific works, for his love insistence and pursue in the field of petroleum and gas. He has published more than 100 papers on SPE Drilling & Completion, Journal of Canadian Petroleum Technology, Journal of Energy Resources Technology, Journal of Petroleum Science and Engineering, PHYSICS ESSAYS, Acta Mechnica Sinica, Engineering Mechanics, Acta Petrolei Sinica and Acta Mechnica Solida Sinica. Among them, more than 30 papers have been taken into Sci and Ei searches. His representative include, Tubalur Mechanics in Oil-Gas Wells and Its applications, Rod and Pipe String Mechanics in Oil and Gas Wells, Theory of Well Trajectory Control, Slimhole Drilling and Production Technology. His research results have been covered in different channels and media reports like Science and Technology Daily, CPPCC Daily, Science Times, People's Digest, Xinhua Monthly, Scientific Chinese, Chinese Engineering Sciences and China Awards for Science and Technology. Professor Zifeng Li is researching continuously, like a climber who has passed the mountains one by one without rest. Just like he said, "I will try myself best to make responsible contributions to the development of petroleum engineering of our country." Professor Zifeng Li has also studied in the field of philosophy and physics. He believes that, physics comes from philosophy, and philosophy is the base of physics, and physics is the development and quantization in natural science. He has also suggested guiding physic researches on the base of materialism point of view. He is a scholar who firmly believes in gospel and materialism. In physics researches, he is strong opposed to mentalism and creationism. So far, Professor Zifeng Li has published more than ten papers such as Special Relativity Arising from a Misunderstanding of Experimental Results on the Constant Speed of Light, Special Relativity: Its Nature and influences on Science, Philosophy and Society and Materialism Space and Time View.